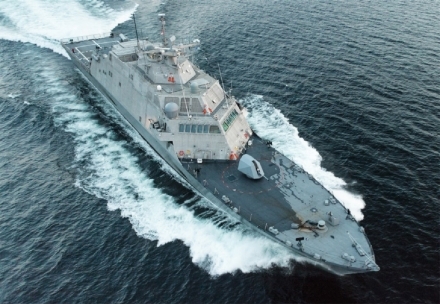 Moog Inc. announced today that the Company is a co-sponsor for the USS Little Rock LCS-9 Commissioning. Moog’s sponsorship is part of its Defense sector’s commitment to equipping those who defend freedom. Moog’s actuation and stabilization technology is incorporated into the two MK46 naval turrets. Moog Protokraft has announced the availability of the Stiletto Series 10Gbps Dual Optical Fiber Transmitters/Receivers. Stiletto series dual optical fiber transmitters/receivers offer significant size, space and weight savings compared to traditional SFP+ transceivers and cages. Moog Protokraft has announced the availability of the Viking Series L2+ Ethernet switches which have been qualified for military aircraft applications. Viking Series Ethernet switches are vibration isolated, environmentally hardened products qualified to RTCA/DO-160G and MIL-STD-461F. Moog Protokraft has announced the availability of its rugged Dagger series dual and quad port 10G optical transceivers. The Dagger series improves the performance and reliability of high speed communication links up to 10.3GB/s per port in harsh environment applications..
Moog Protokraft announced the availability of its pluggable 10 GB serial Stiletto Series optical transceivers. Stiletto series optical transceivers offer significant size, space and weight savings compared to traditional SFP+ transceivers and cages. Moog Protokraft received another production order in support of the PATRIOT Missile System PFOM unit. In 2004, the US Army fielded the Lightning series optical transceiver design for use in the PFOM, which provides the non-radiating communication link between major end items and PATRIOT fire units. 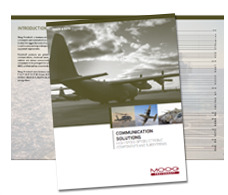 Moog Protokraft commensed with delivery of their Spitfire Gb Ethernet and Fast Ethernet ruggedized media converters for installation as part of the B-52 Combat Network Communications Technology (CONECT) contract. Each Spitfire takes advantage of Moog Protokraft's Extreme SWaP design philosophy. Moog Protokraft has announced the availablitiy of its Kestrel Series series 4xSMPTE 424M / DVI fiber optic link extenders. These link extenders enable high speed video or display transmission over a link distance of up to 500 m in harsh environments using multimode fiber optic cables.